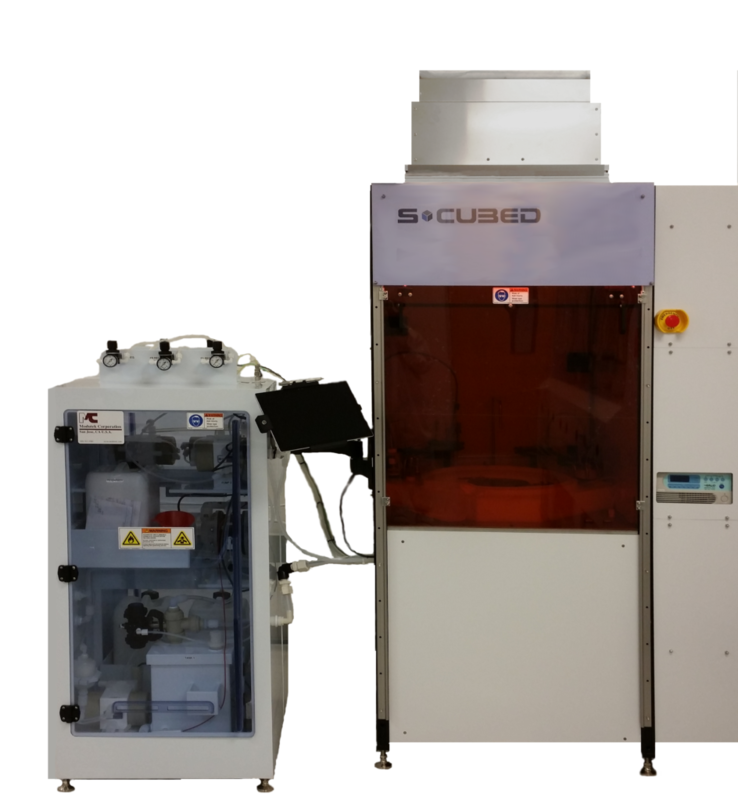 By combining our vast experience in wafer spin processing and our expertise in materials engineering, S-Cubed delivers in our Typhoon systems, robust wet processing equipment for cleans, etches and lift-off processing. Extensive use of sapphire like materials ensures machine longevity and reliability. The Typhoon processes are available on Cyclone, Flexi, and Scene tools and handle all substrate geometries (round, square, rectangle). Multi-level chemical drains for sequential processing in single bowl.